It’s October. The air is getting crisp, the leaves are starting to turn. Football is in full swing. And all over America kiddies are planning costumes and candy-hauling strategies. When they show up on your doorstep, you want to be ready—with your Halloween spirit and the best jack o’ lantern on the block. Before you head to the pumpkin patch for your sacrificial squash, check out these top tips for making a carv-tastic display. There are no rules for what size or shape makes a great jack o’ lantern. Any pumpkin can rise to ghoulish greatness. Do look for a pumpkin that isn’t bruised and has no mold around the stem. Who wants to cut into a rotted pumpkin? Also, look for a pumpkin with a flat bottom that will sit firmly without rocking. Every job is made easier by the right tools. A kitchen knife is not the best, or safest, thing to use for pumpkin carving. You can get a set of pumpkin carving tools at many hardware or drug stores around Halloween, but you can also use items already in your possession already have—power drills, awls, wood gouges or even cookie cutters. Don’t forget a big spoon to scoop out the guts! Rather than giving your jack o’ lantern a cap by cutting it at the top, draw a circle on the bottom of your pumpkin and cut your opening there, making sure to angle your blade toward the center to create a ledge for support of the finished cut area. Clean out the guts (save the seeds for your after carving snack!) and scrape the insides of your pumpkin until they are about an inch thick in the areas you plan to carve. If you’re using a pattern, tape it on and transfer it by tracing with a poking tool. Then you’re ready to carve! If you’re using a pumpkin saw, it’s easiest to keep the pumpkin on your lap, holding the saw like a pencil and using a steady up-and-down motion. Saw at a 90 degree angle with gentle pressure. To extend the life of your jack ‘o lantern, spritz it with water and keep it in the refrigerator while it’s not on display. Spread some petroleum jelly on the cut edges to keep them from drying out. 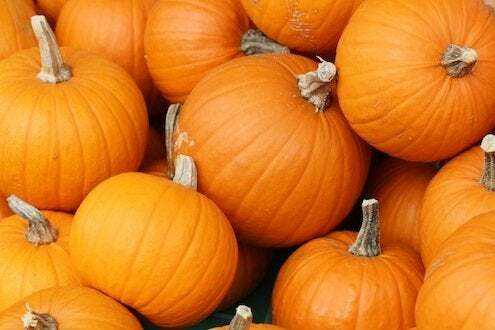 If your pumpkin starts to shrivel, submerge it in cold water for a couple of hours. It should come back to life. Just make sure to dry it well on the inside to avoid mold. You can also ward off mold and insects by spraying or soaking the pumpkin with a water and bleach solution. If you are using a candle, cut a hole in the top of the pumpkin toward the back to act as a chimney for smoke and heat. A candle will be more secure if you drill a hole for it. 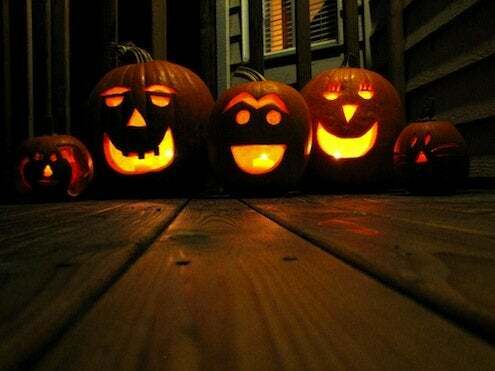 You can also use battery operated LEDs, Christmas lights, or even a nightlight to illuminate your pumpkin. If you carve a design in the back of your jack o’ lantern, you’ll produce a shadowy effect on the wall behind it, making it extra spooky! However you choose to carve your jack o’ lantern, use your creativity and have fun. It’s just a pumpkin, after all. The ghosts and goblins coming to your door will be excited about whatever you display—especially the stuff in your candy bowl.